Nigerian public schools are reopening in Borno state, in the country's northeast, where the military has pushed Boko Haram extremists from many cities and towns, said a military official. Many schools have been closed for more than two years in areas of Borno state that had been controlled by Boko Haram, which means "Western education is sinful." A three-month multinational offensive earlier this year drove Boko Haram out of towns including Gwoza which had been headquarters of what the group called its Islamic caliphate. 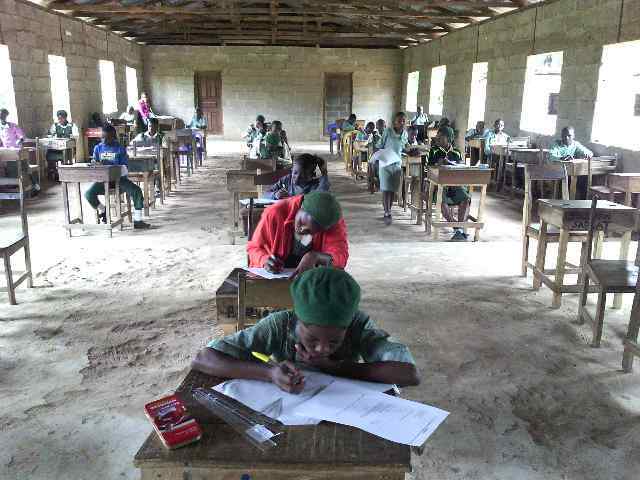 Nigeria's military reopened a public school in Gwoza, Saturday. The schools are being reopened while troops continue to recapture territory from the insurgent's, military spokesman Col. Sani Kukasheka Usman said. At least 2.1 million people have been displaced in the region by Boko Haram's 6-year-old insurgency. Nearly 20,000 people have died from the violence. In neighboring Adamawa state, a university opened after Boko Haram was forced out by the military has hired local hunters to defend students and staff from Boko Harm attacks. The university hired over 80 hunters to provide safety against possible attacks, said the vice chancellor of the Adamawa State University in Mubi, Prof. Shall David Joshua.